You may have a special place –a place you can return to and connect to good memories, or have peace and quiet, a place to think and restore surrounded by your favorite comforting things. For some this may be in your room surrounded by memories and books, for others this may be a library, and for others it may be outdoors along a trail, river or on a mountaintop. Your special place is chosen by you and has meaning to you. 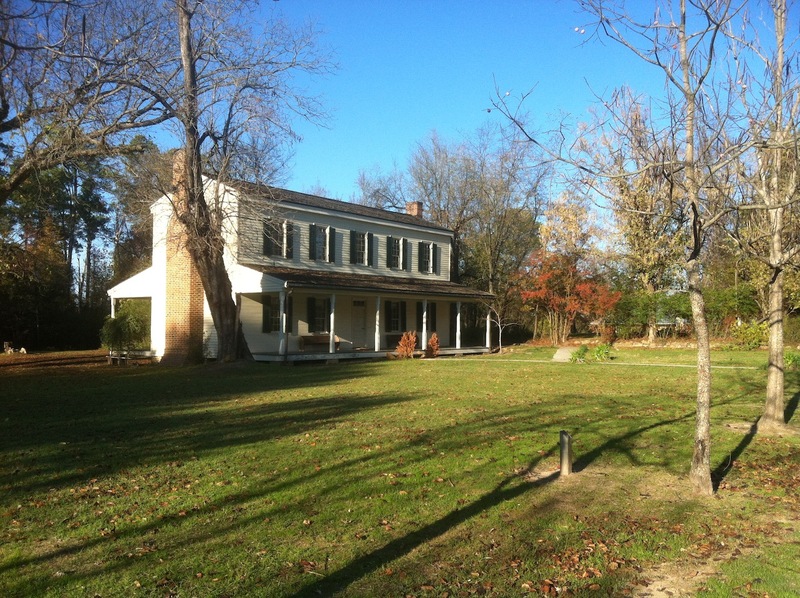 Parks, historic sites, nature centers, and similar places also have select and specific places within them that hold special meanings and significance, but we seldom think of our sites that way, and seldom take the time to seek out the location with the most significant meanings attached to them. A funnel can help. My interpretation planning process begins with a funnel. That is, I begin with a discussion of the general resources and the many potential interpretive topics within a site. Through questions and activities we narrow those to a few of the most important. From those, reflecting on mission, significance, audience, and site resources, we move deeper into the funnel to narrow the field further and identify the highest and best topics of interpretation. I ask – If you could tell your visitor only one thing, what would that be? Or, if a visitor says he has just fifteen minutes to spend at your site, what single place tells the most important story of your site? This generates a lot of discussion. We easily interpret many things – a little here, a bit there; rabbits on Friday and snakes on Saturday. But it’s often a challenge to identify one topic and one place that speaks to your site’s most important story. Far too seldom do talk the time and ask the questions to seek out our most important story. Often, this procedure leads to a totally unexpected place. I remember leading interpretation planning at Historic Washington State Park some years ago. 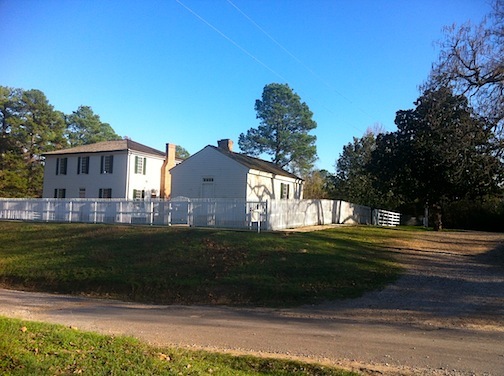 The state park is filled with historic houses and stories abound at every turn. Which is the most important, if we could save only one structure what would it be? If we had to stand in the location where this history ‘shouts the loudest’ where would that be? There were many responses and a very satisfying discussion: This famous person? …That significant event? …This iconic structure? The funnel-down discussion helped us focus and made us think differently. Eventually we agreed that none of our ‘regular places‘ was THAT place. Rather, we would guide the visitor to the middle of the old gravel and dirt road that leads into town from across the tracks and through the woods to the north, a place that was not a flashy stop on the town tour. Through the funnel-down process we recognized that The Southwest Trail is what brought people to Washington; every structure, every event, and every story there is connected to that old dirt and gravel road. Identification of this place introduced a new resource, new interpretation, and new value to Historic Washington. It reshaped our approach to interpretation. 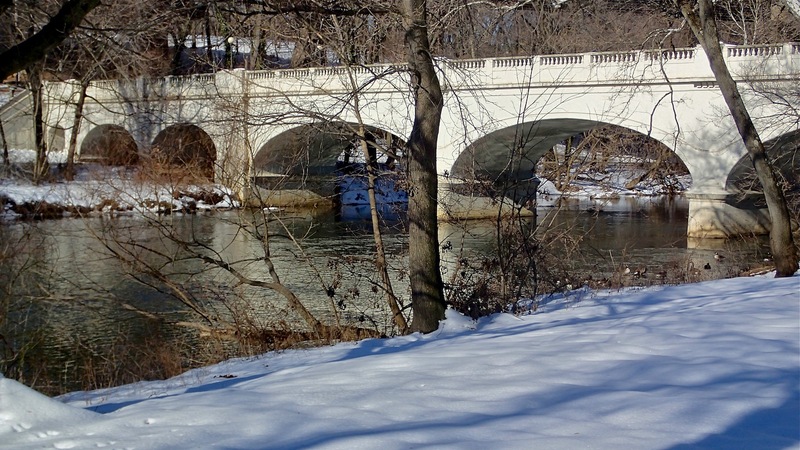 The power of the Brandywine River and the passage of time connect us to people and events that changed Wilmington and the Nation. 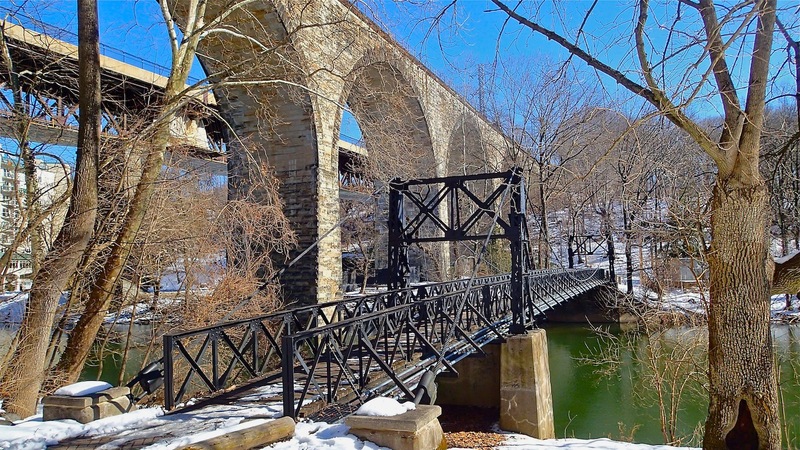 Standing at the south end of The Swinging Bridge over Brandywine River, the visitor can see the clear, flowing river and the sluice that diverted river water to the several mills. Above and upriver are several bridges built at different times and in different styles. These distinct features are tangible evidence of changes in industry and technology in Wilmington. Understanding the history is meaningful to this site, but also significant to understanding the growth of this Nation. Across the eastern states, then in all areas where rivers were available, this pattern of river/industry development occurred. As people begin to understand the industrial development pattern based on the river here, they can understand one of the important growth patterns of the nation. This concept of message (theme) combined with a meaningful location focuses site interpretation. It replaces what is often a somewhat random and general topic selection with a thematic message that focuses on a significant resource or event of that site and engages the visitor in that unique site experience. As a result, the visitor takes home your story and remembers your site as significant and meaningful.